Product Consists : Cycling Best Friend Key Chain in a Box. You are looking for a perfect way to impress your special someone. 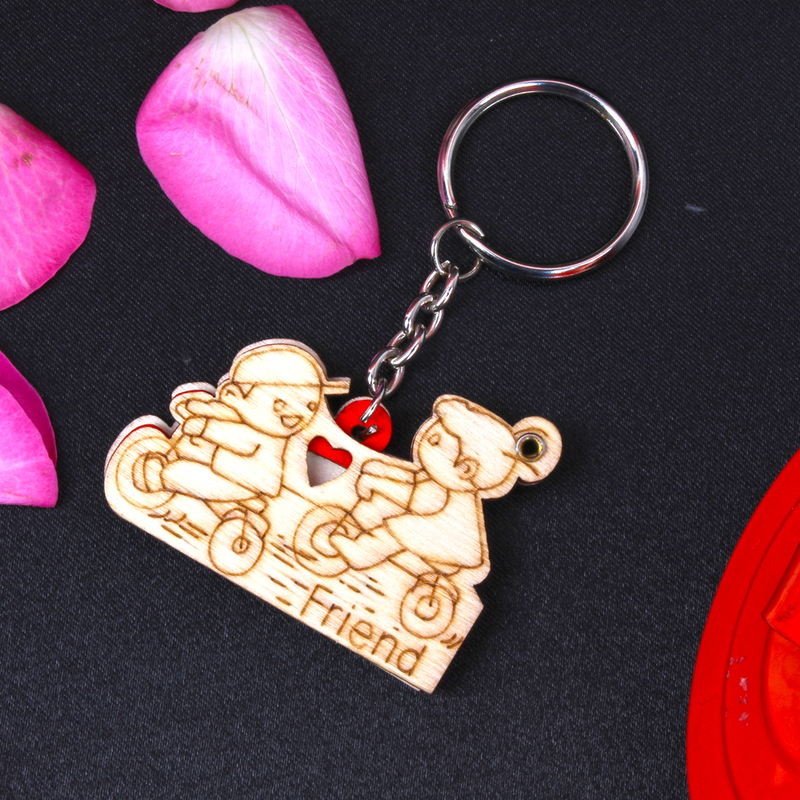 Present this lovely key chain which says Best Friend by heart are just crazy, and you will be a perfect way of conveying your care for your beloved. 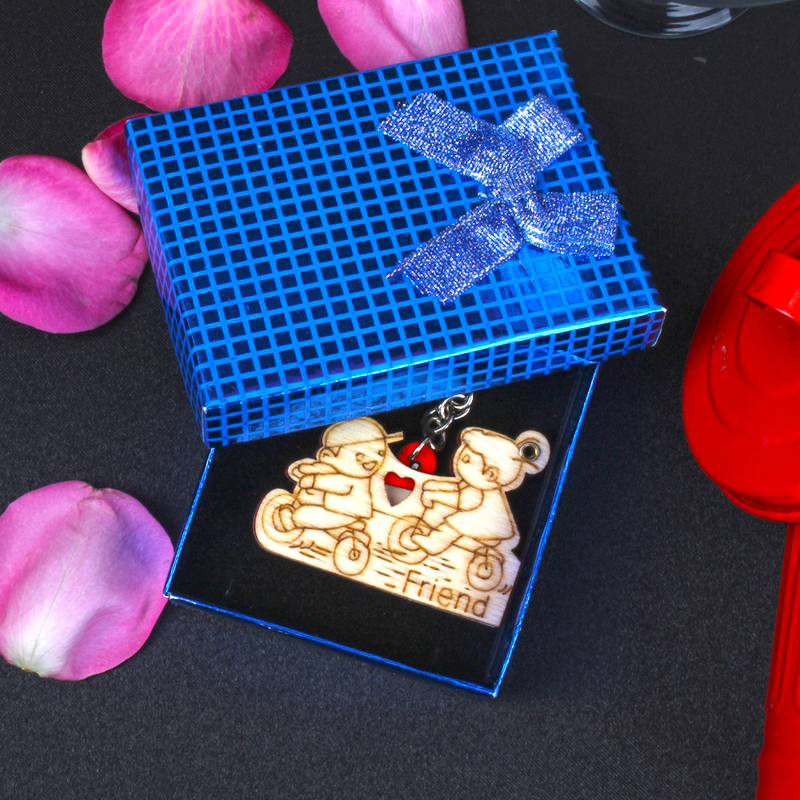 The stylish key chain opens with a photo which you select on it with care messages which are sure to bring an adorable smile on face of her/ him. 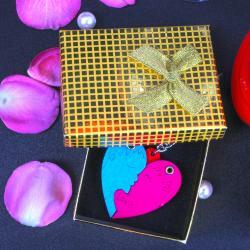 Send this lovely key chains and surprised yours beloved in India. Sending this key chain which includes image holders, your love one can place her/ his choice of a photo and make it personalized key chain. Product Consists : Cycling Best Friend Key Chain in a Box.